Did you think the Valentines goodness was going to end last week? (well, tbh I thought it was too but then I got sad at the thought of it.) Soooo I decided to extend it for another week! Today's card is much simpler and makes use of the heart die in my Folded Airplane Die Set. It's always fun to take some of the additional elements included in a set and make them the star. 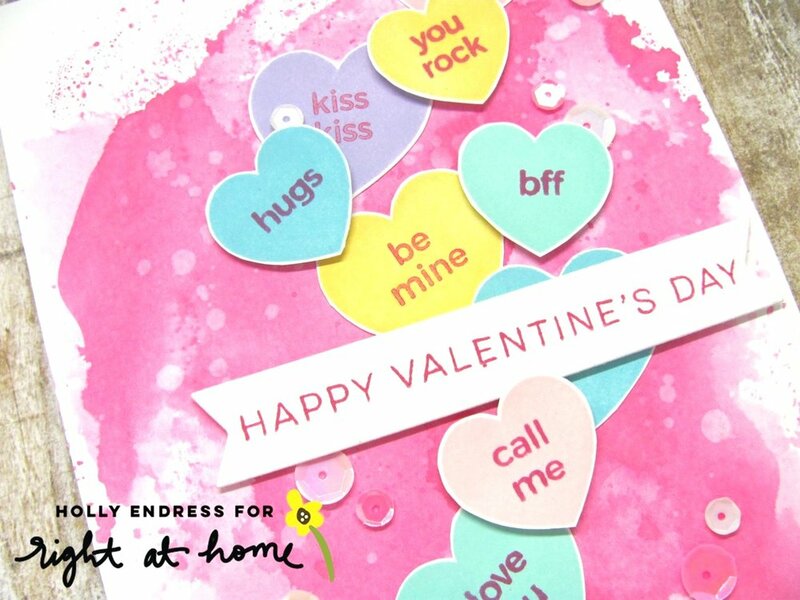 The inspiration for this card came from the little candy hearts we all munch on around this time of year. I released a stamp set a few years ago that followed this same idea and included little phrases you would typically find on these sweet treats. I decided to combine that set with the heart die from my Folded Airplane Die Set to give it new life. 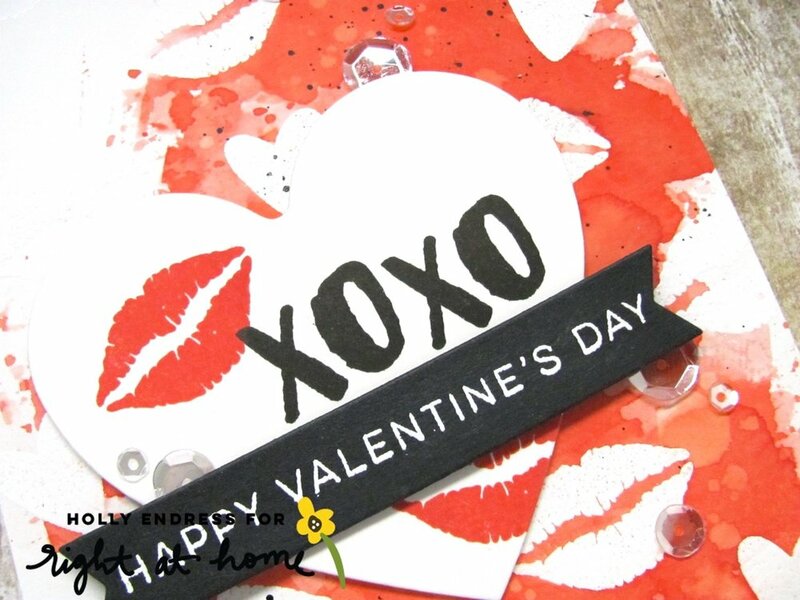 I die-cut several of the hearts from white cardstock and colored them using various Distress Oxide Ink colors. There are only a few pastel-y colors in the line currently (although more were just released at Creativation!!) so I used what I had. I went with Worn Lipstick, Picked Raspberry, Cracked Pistachio and Candied Apple for the accents. After each heart was inked I stamped the little phrases into the center of the hearts using the Candied Apple. On the one that read "I love you" I stamped the stitching outline stamp that coordinates from my Love Ya set. This would be my center heart. I arranged all the hearts onto a piece white cardstock that I die-cut using the largest rectangle from my Find the Beauty Die Set. I trimmed off any hanging off the edge and adhered the panel to a pink card base. I decided to further accent the center heart, which I also popped up on foam tape, with a few of the smaller hearts in Cracked Pistachio. I added a touch of sparkle to them using the Nuvo Aqua Shimmer Pens (!!!). And that finishes today's card! A quick and simple one to start the week of right. Are you excited for another week of all things red, pink and white? !